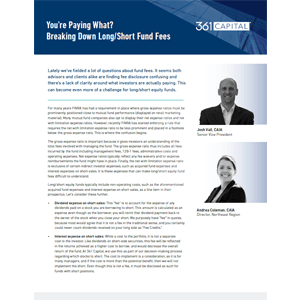 Ten years after the financial crisis—followed by a record-long bull market—investment advice is at a critical turning point: from participation to preservation. This is where liquid alternatives can help. 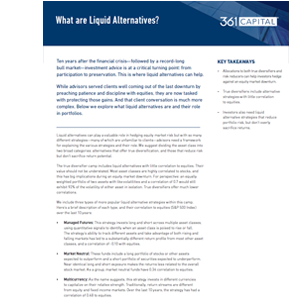 But first, what are liquid alternatives? 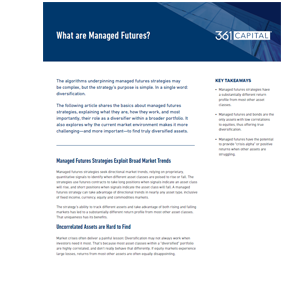 The algorithms underpinning managed futures strategies may be complex, but the strategy’s purpose is simple. In a single word: diversification. 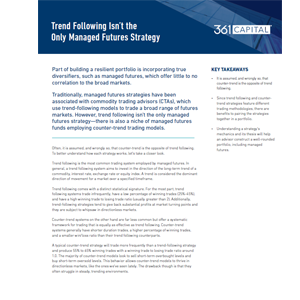 The following article shares the basics about managed futures strategies, explaining what they are, how they work, and most importantly, their role as a diversifier within a broader portfolio. 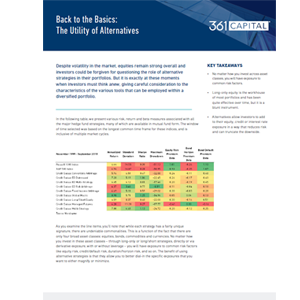 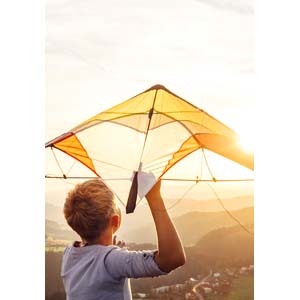 Despite volatility in the market, equities remain strong overall, but it is exactly at these moments when investors must give careful consideration to the characteristics of the various tools that can be employed within a diversified portfolio. The numbers are in—and stark. 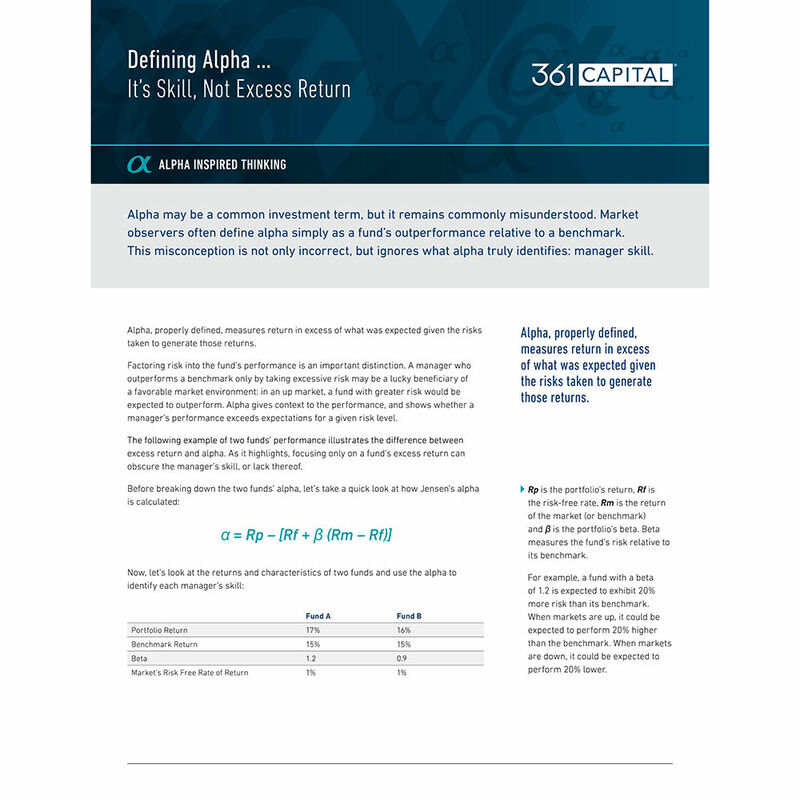 An individual decides to retire after a lifetime of hard work just as the market falls. 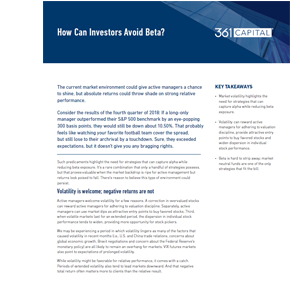 An investment portfolio subject to market returns would therefore be negatively impacted, and the potential outsized effect could come as a shock. Over the past year, 361 Capital’s Long/Short Equity strategies have had success in managing downside risk while also providing upside growth. 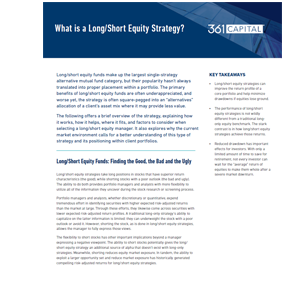 The strategies are sub-advised by Los Angeles-based Analytic Investors which is helmed by Harin de Silva, Ph.D. 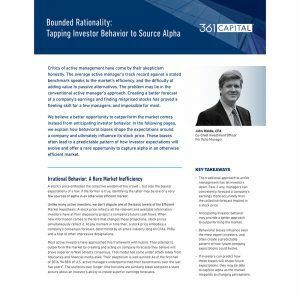 Since Harin’s award-winning research informs Analytic’s portfolio management process, we wanted to catch up with him to ask him a few questions about the role of factors in portfolios. Investors in long/short equity funds should know exactly how much equity exposure they are taking in order to judge their true equity risk across their diversified portfolios. Proper diversification is a must if your goal is to build a portfolio that you can actually stick with over multiple market cycles, including tumultuous times. True diversifiers are rare, but there is another option beyond investment grade debt –Managed Futures.